This is a really fun one from Marvel. It’s really got a lot going for it. If anything, it might be too funny. And I realize that’s a weird complaint, because, honestly, some of the comedy made for some of my favorite moments. 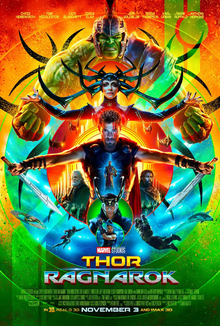 I especially liked Korg (Taika Waititi), and really just love anything Jeff Goldblum does, ever. Aside from the funny, there are some great fight scenes, and the whole story is pretty interesting. So, yeah, I dug it. I need to just get used to these movies having more comedy. At least it’s good comedy. This movie is awesome. Duh. Like I would have any other opinion. Funny. Quirky. Unique. Beautiful. I can’t wait to see it again. Pro-Dog. Look, this movie is far from perfect. It’s riddled with plotholes. So, I could tell you all the things that bothered me about this film, or I could tell you that it was a really great theater experience. Because it was. Really great. 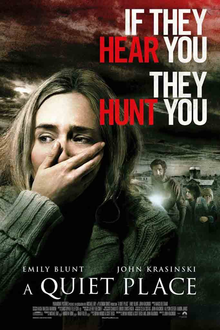 I honestly had NO IDEA what this movie was about going into it (except John Krasinski was in it). I hadn’t seen a trailer or read anything about the plot. And that made it even better. It was all a surprise. It’s creepy, and suspenseful, and sad, and just really intense. I don’t think I’ll ever watch it again, but I think it’s most definitely worth seeing. 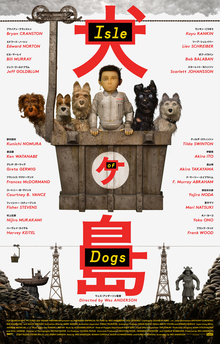 I’m a Wes Anderson fanboy, so anything he does, I’m going to love. Do you know his stuff? Love? Like? Hate? Indifferent? Isle is most definitely a Wes Anderson film.